Manage projects with a view of your recent files in LUX Home. 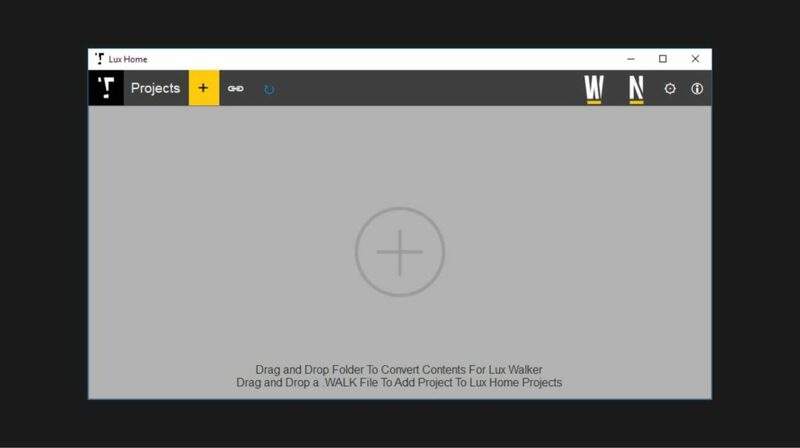 View all your exported projects, select a project and open it in Lux Walker or open renders in Lux Navigate. Remove Project from Library. No files will be deleted. 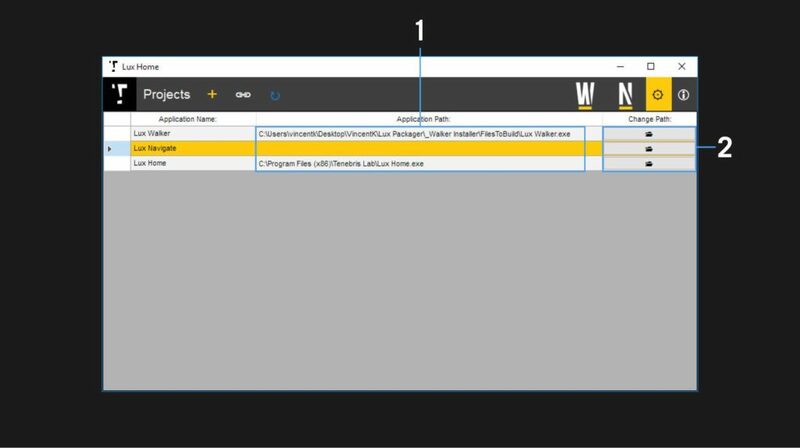 Allows dragging and dropping a folder to convert it to a .WALK file. The folder needs .obj and .mtl files inside, as well as a folder containing your textures. You can also drag in a .WALK file to add it to your library. This allows you to add projects located on a network drive, that may have been exported by someone else. 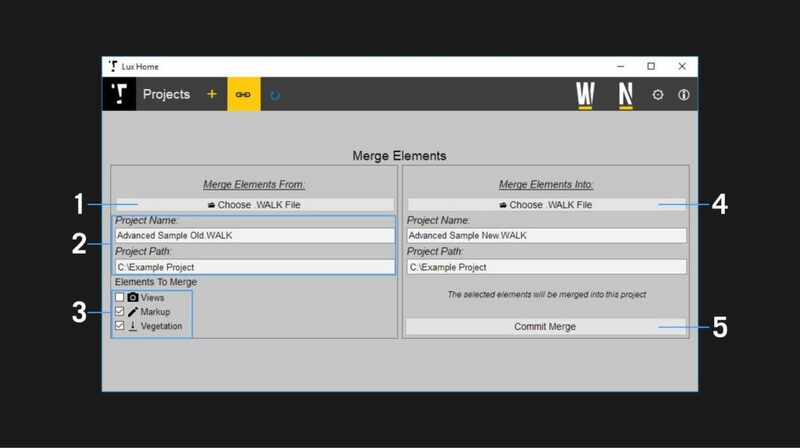 Allows you to merge files between two .WALK files. 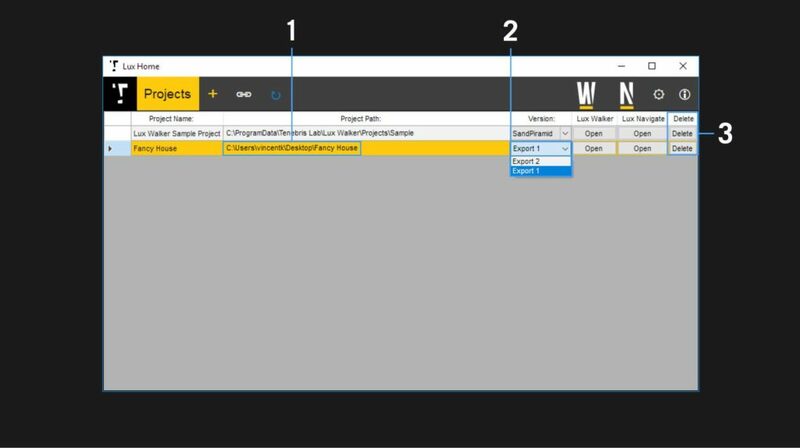 If you have cameras, markup or vegetation in a project and you would like to add it to an updated export of the project you can use this tab to merge items between projects. Browse for the project file that contains the items you would like to add to another project. The project name and location will autofill once a project file is selected. Check which items you would like to be merged. Select the target project to which you wish to add the selected items. 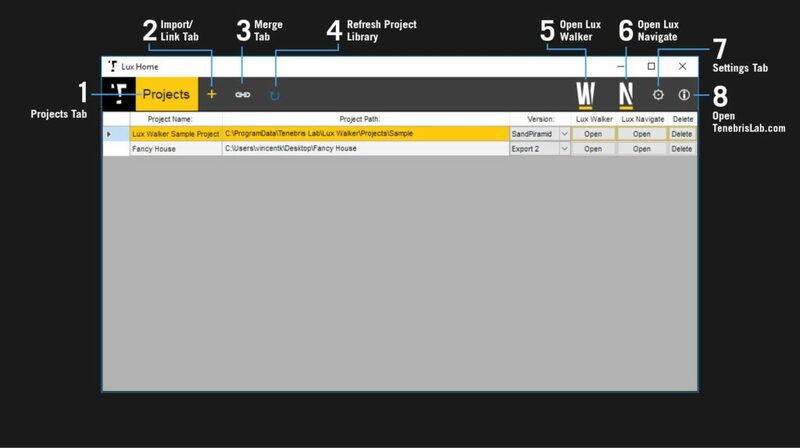 Click to commit merge and copy items to project. Manages the linking between the various Lux Suite programs and Lux Home. Used to re-establish the links if they were lost. The current path to the selected program. Click to change the location of the selected program.